Pumpkin Spice and everything nice! That's what we love seeing!! We also love seeing all the adorable crafts and amazing things you all are doing this time of year! So many pretty homes and decor!! LOVE IT!! You’re so sweet! 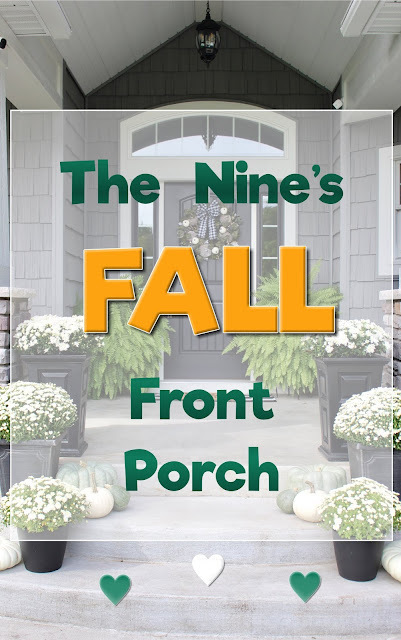 Thank you for including my Fall front porch post! Have a great weekend! Good morning, Julie! I have always loved your crocheted leaf. I also read your Dollar Tree post. I'm a big fan of shopping there, too,, and my Dollar Tree is so close to my house. Thanks for hosting and happy first week of October. 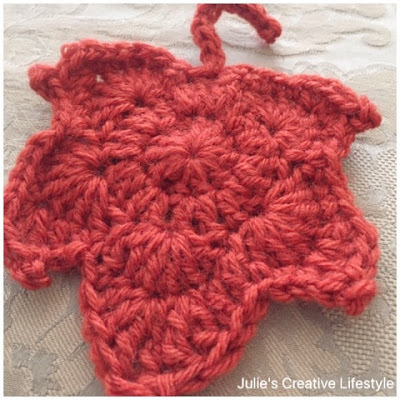 I love your crochet leaf Julie, how cute! Thanks for the party fun today! Thanks for hosting, Julie. Hope you have a lovely week! Love always to see your crochet talents. The leaf is adorable. When the winds and snow start to blow here in Illinois I will have that beautiful scarf you made for me to wear. I also use my hot pad too. I am so happy you use your talents and make such cute things. Love the part always for new recipes too. Going to check out a few. Happy October. Sorry not part but Party!!!! Thanks for hosting Julie. I loved Andrea's porch too! Fab! 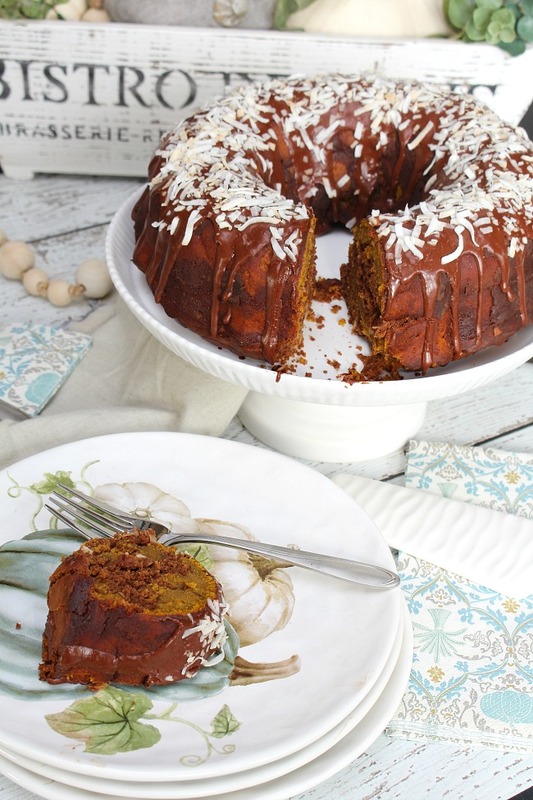 Chocolate Coconut Pumpkin Swirl Bundt Cake. Wow. Thanks for hosting Julie. Looks like some great recipes to try. Enjoy your new look. It was my pleasure to give you a mini makeover.